Interested in Cypress Property Management? Click on www.houstonrpm.com to know more about Real Property Management Houston — the best in Property Management in Cypress. To see our available listings, go to www.houstonrpm.com/houston-rental-home today! This walk through tour of 14207 Parable Ln, Cypress, TX 77429 is brought to you by the industry leader in property management in Cypress — Real Property Management Houston! Space is not going to be an issue when you move into one of our beautiful 4-bedroom, 2.5-bathroom, 2-story houses for rent in Cypress. Measuring 3, 991 square feet, this gorgeous home features high ceilings, a grand staircase, ceramic tile and carpet flooring throughout, a formal dining area and an office space with double French doors for starters. It also features a huge family room with a gas fireplace and an open, eat-in kitchen with a huge center island that you can use as a breakfast bar, stainless steel appliances, beautiful dark wood cabinets, tons of counter space and a walk-in pantry. The master suite can also be found on the main floor, very roomy and it has a huge walk-in closet, as well as large windows that let in plenty of natural light. Upstairs, you have the rest of the bedrooms, as well as a huge bonus room that you can use as a media room. There is also a second floor loft that you can convert to a game room if you wish. The home also comes with a very sizable back yard and a three-car garage. There is also a covered patio that is great for entertaining. Think this is your dream home come true? Call us now! We’ll be happy to show you around your new home. 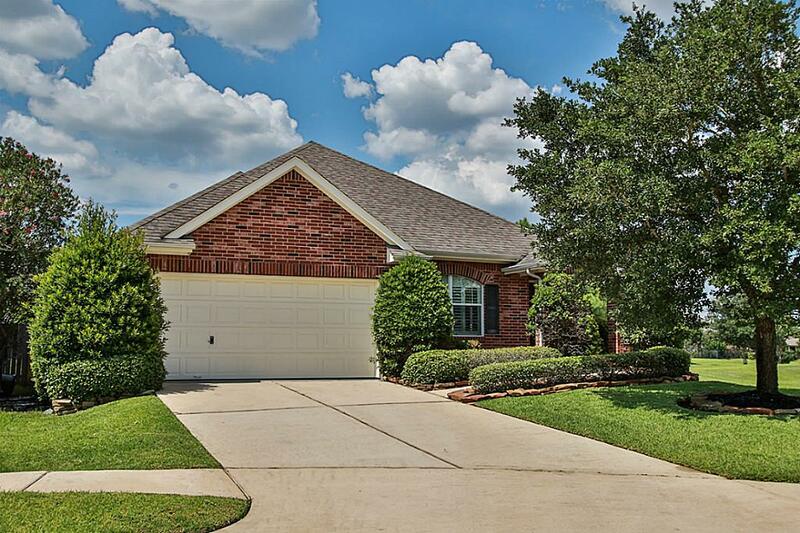 Want to live in our lovely houses for rent in Cypress? 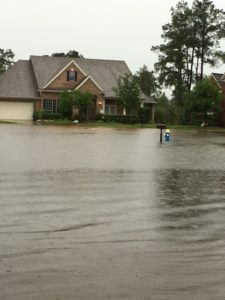 Visit www.houstonrpm.com and give our professional Cypress property managers a call today! See our other available properties here: www.houstonrpm.com/houston-rental-home. Know someone who might be interested in our Cypress Homes for Rent, instead? ‘Like’ and share this video with them, and help a friend or family get their dream home! Get professional property management in Cypress TX with us at Real Property Management Houston! Learn more about us at www.houstonrpm.com/about-real-property-management-houston and learn more about property management in Cypress TX here www.houstonrpm.com/houston-property-management-resources. This walkthrough tour of 19114 Berkshire Oak St, Cypress, TX 77429 is brought to you by the industry leader in Property Management in Cypress, Texas! One of our houses for rent in Cypress is located in the Villages of Cypress Lakes and in the Cypress-Fairbanks Independent School District. This 4-bedroom house offers a guest bedroom downstairs with a full bathroom. The open kitchen has large 12′ over 30′ cabinets, granite countertops, stainless steel appliances, and tile backsplash. The master bathroom has an oversized tub and silver/glass shower with frameless door. Other features include triple-crown molding throughout the living areas, a 2-car garage, a wood-fenced backyard, a gas fireplace, air conditioning, and washer and dryer hook-ups. Want to live in our lovely houses for rent in Cypress? Visit our website at www.houstonrpm.com/ and give our professional Cypress property managers a call today! See our other available properties here: www.houstonrpm.com/houston-rental-home/. Get professional property management in Cypress TX with us at Real Property Management Houston! Learn more about us at www.houstonrpm.com/about-real-property-management-houston/ and learn more about property management in Cypress here www.houstonrpm.com/houston-property-management-resources/.